It wasn’t long after my post about Facebook potentially launching a data-storage service that Mark Zuckerberg broke more interesting news about his plans for the future of Facebook. Mark Zuckerberg, the founder of facebook, announced that the social network was creating a $10 million fund to provide grants for 3rd party applications that rely on the facebook developer platform. The idea of getting venture capital or angel investment to build an application that relies solely on the facebook developer platform is not a new one. Some investors have already funded start-ups of this nature. The fund will pay out between $25K and $250K to successful applicants. 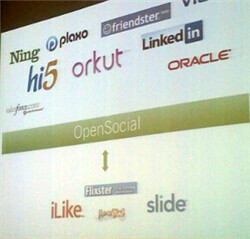 The basic top level rules are that the start-up be based on facebooks developer network and that the venture must have had NO prior investment. No doubt this news will spur on a large number of wannabe facebook millionaires. But not so fast people, there are a few hurdles on the way to your facebook start-up funding. Screening of initial applications will be conducted by an ‘advisory council’ that includes the likes of Reid Hoffman (founder of Linkedin & early facebook investor), Josh Koppelman of First Round Capital, and Rajeev Motwani, a Stanford computer science professor and early Google backer. If you make it through screening, your application will then face the scrutiny of the facebook ‘investment committee’. This group includes chief executive Mark Zuckerberg and marketing vice president Chamath Palihapitiya. Facebook board members Jim Breyer of Accel Partners and Peter Thiel of The Founders Fund (who are providing the $10M for the fund) will also serve on the committee. These guys will decide the ultimate fate of your application for a grant. All interested parties should forward their applications and business plans to platform@facebook.com. Applications are expected to take up to one month to process.